The iconic civil rights leader has inspired architects, artists, and planners to design some of the world's most innovative and inspiring memorials. From the National Mall in Washington D.C. to the forests of northern Israel, memorials to MLK dot the planet, acting as a global testament to the creative human spirit that King championed. Martin Luther King Jr. would have turned 88 yesterday. To commemorate today's national holiday, we've taken a look at how the iconic civil rights leader has inspired architects, artists, and planners to design some of the world's most innovative and inspiring memorials. From the National Mall in Washington D.C. to the forests of northern Israel, memorials to MLK dot the planet, acting as a global testament to the creative human spirit that King championed. Read on for a tour of stirring effigies, abstract urban interventions, and makeshift museums built in his honor. If the shape of the Martin Luther King Jr. National Memorial in Washington, D.C. seems slightly imposing, it's easy to understand why when you consider its weighty undertones. Architects ROMA Design Group and sculptor Lei Yixin were in fact inspired by the line from King's "I Have a Dream" speech in which the leader declared: "With this faith, we will be able to hew out of the mountain of despair a stone of hope."  ROMA worked with the design build team of McKissack and McKissack, an African-American, family-owned architecture firm that traces its roots in design and construction across generations. Indeed, its legacy stretches all the way back to 1790, when Moses McKissack was captured in West Africa and learned building trades from his slave master. Subsequent generations earned architecture degrees by correspondence from European institutions and later garnered major WPA commissions. Perhaps the most remote tribute to MLK is in the university town of Uppsala, Sweden. In the center of Martin Luther King Jr. Plats (MLK Square) stands a monumental sculpture symbolizing the civil rights struggle, serving as a reminder to students of the international lessons of equality. The India International Center's Gandhi-King Plaza is considered a secret garden amid the chaos of New Delhi. Though the two figures never met, King cited Mohandas Gandhi's philosophy of nonviolent resistance as influential to his own crusade. The site of King's assassination, Memphis' Lorraine Hotel, now serves as the National Civil Rights Museum. Before King's fatal death on the balcony outside room 306, the Lorraine hosted such luminaries as Ray Charles, Aretha Franklin, and Otis Redding. Since its conversion to a museum in the 1980s, the Lorraine has ironically been deemed a divisive force in the surrounding community, perceived as the sanitizing of a gruesome conspiracy in favor of neighborhood improvements geared toward tourist-induced gentrification. The Rev. Martin Luther King Jr. Forest in Israel's southern Galilee region pays tribute to Jewish organizations that sponsored the civil rights movement in the US. This protected forest was originally planted as 10,000 trees on the 10th anniversary of King's assassination, and honors such Jewish activists as Michael Schwerner and Andrew Goodman, who were murdered in 1964 while volunteering to register African American voters in Mississippi. Topography plays a symbolic role in Seattle's MLK Memorial, designed by artist Robert Kelly. Carved from black granite, the 30-foot sculpture was inspired by the "I've Been to the Mountaintop" speech King delivered the day before his assassination. Hills surround the Seattle memorial, offering views of the Rainier Valley. Students at the University of South Florida successfully rallied Tampa's leaders to designate a trellised arcade as Martin Luther King, Jr. Plaza in 1982. In 1996, artist L. Ackley-Eackler recast a bust of the leader that looks towards a a granite inscription of the "I Have a Dream" speech across the plaza. Bands of granite radiate from the statue in the direction of major cities that played pivotal roles in his campaigns. Across the pond, MLK's figure makes a cameo above the western entrance to Westminster Abbey. Though London's most iconic religious landmark dates to 1245, the resemblance of MLK in French Richemont limestone was added to an unoccupied niche in 1998. To his left and right, nine other 20th-century civil rights martyrs fill similar niches. Raleigh, North Carolina claims the title of the first city to construct a public park in honor of King. A life-sized bronze statue of the civil rights leader in his Doctorate Clerical Robe foregrounds a wall of 2,500 bricks recognizing the park's supporters. Plans to expand the gardens were approved in 2013. King's wife, Coretta Scott King, died in 2006 in Rosarito, Mexico. A statue of her husband now stands in the Baja California city. An MLK memorial in San Francisco takes the form of a walled fountain in SoMa's Yerba Buena Gardens. Titled Revelation, the landmark made of Sierra granite was a collaboration between sculptor Houston Conwill, poet Estella Conwill Majoza, and architect Joseph DePace. When it was completed in 1993, the site claimed the title of the nation's second largest MLK memorial. Martin Luther and Coretta Scott King remain together at Atlanta's King Center for Nonviolent Social Change, which is nestled inside the Martin Luther King, Jr. National Historic Site. Across a reflecting pool from their tomb stands MLK's birth home and the building of his former congregation, Ebeneezer Baptist Church.